Suzie Pun earned her B.S. in Chemical Engineering from Stanford University and her Ph.D. in Chemical Engineering from the California Institute of Technology under the mentor-ship of Prof. Mark E. Davis. 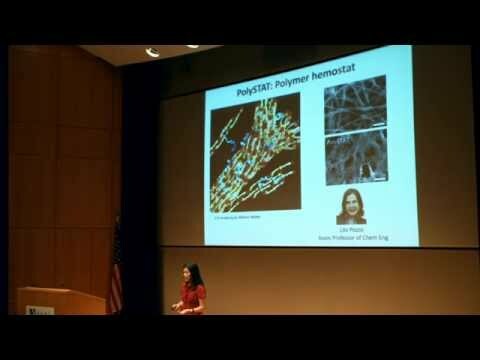 She then worked as a senior scientist at Insert Therapeutics/Calando Pharmaceuticals for three years developing polymeric drug delivery systems before joining the Department of Bio-engineering at University of Washington (UW). She is currently the Robert J Rushmer Professor of Bioengineering, an Adjunct Professor of Chemical Engineering, and a member of the Molecular Engineering and Sciences Institute at UW. Her research focus area is in biomaterials and drug delivery and she has published over 80 research articles in this area, holds six patents, and given over 100 invited presentations on her group’s work. She contributed toward the development of drug delivery vehicles that have entered clinical trials. More recently, her research group has developed methods for drug delivery to the central nervous system as well as injectable, synthetic hemostats for trauma treatment. Suzie has been recognized for her work with a Presidential Early Career Award for Scientists and Engineers, a Young Investigator Award from the Controlled Release Society, and the 2014 Inaugural Biomaterials Science Lectureship. Other honors include recognition as a Massachusetts Institute of Technology’s TR100 Young Innovator and as an American Institute for Medical and Biological Engineering fellow. Suzie has been committed to mentoring young scientists and engineers. She has mentored over 75 students in her laboratory at University of Washington, including 16 Ph.D. candidates and 13 postdoctoral fellows. She has been recognized for her student mentorship with awards from both her department and the University of Washington.